Updated Sunday April 7, 2019 by HCYS. 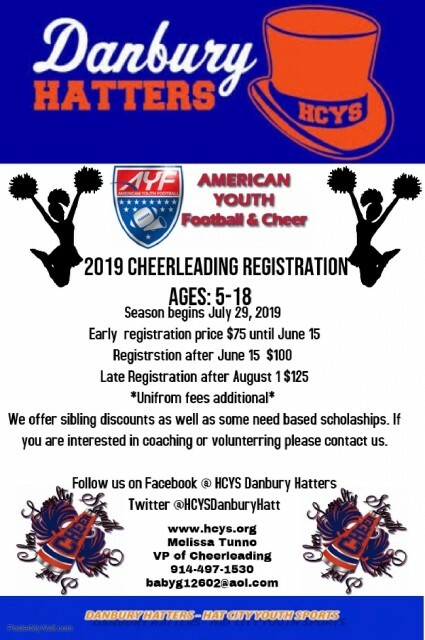 Danbury’s CYF Football & CYSC Cheer Program! Registration is now OPEN for Spring and Fall programs! Notes: We do offer family and new player referral discounts, as well as some need-based scholarships. Cheer Practices begin on Thursday, August 1st. Both will occur at the Broadview lower field from 6pm - 8pm.